photo essay. : Bad Coffee, Costa Mesa, California. hopper. : An Open Mic Straight Outta Compton, In Japan Makes Instant Supreme, Art is The Table at Good Thanks. Whose Coffee Line Was It Anyway? USBC Kansas City Quoteables. coffeetography. : Issac Harris of Breaking Fad, Paris, France. coffeetography. : near You Decide, Paris, France. coffee. : Culture Over Price at Loustic. Third Arrondissement, Paris France. culture cooler. 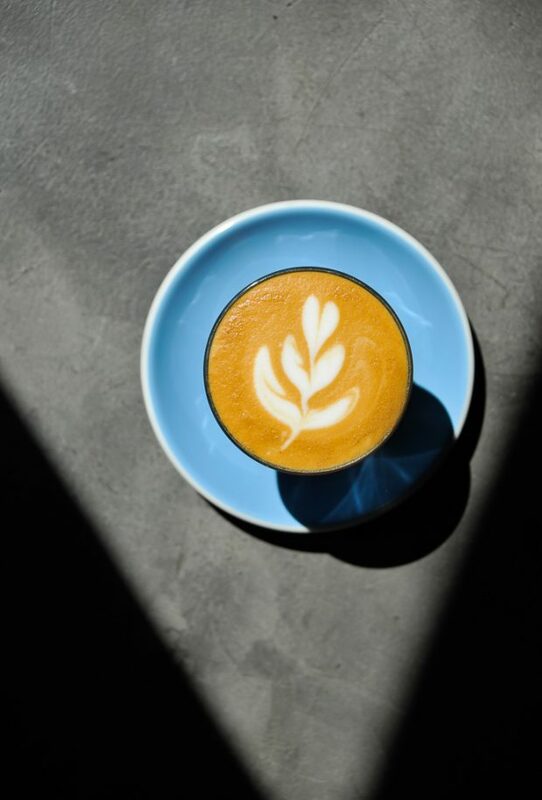 : Three Event Series forwarding Conversation, Healthy Cafe Culture and Womxn in Coffee. hopper. : Coffee Gets a Hand of Cards, A Black Barista on Barista Mag for Black History Month. hopper. : A Minor Figure Wants to Play Big in California, Mexico’s Coffee Podcast and True Detective Discovers Criminals with Coffee. hopper. : A Michelin Star for Coffee?, Adams Coffee Shop in LA, A Lisbon Coffee Shop is Worth Its Print. on Coffee. : The Doctor Funding Surgeries with Coffee, Roasting Coffee in Ivory Coast, Coffee Research Points to Likable Bitterness. Culture Cooler. : The Publishing House pressing coffee and poetry, The Woman Who Took The World with an Aeropress, Where to Coffee in Denver. on coffee. : Florence Welch Indulges Coffee, an Espresso Manicure, 8 million Keep Cups, Revolutionary? hopper. : Where are African Americans in Coffee, A Woman Only Produced Coffee, A Hook Up Coffee Board, The Cafe Where Mental Health is on The Sussex Table. on coffee. : The Bialetti Going Extinct. Coffee Shop Same Ole Same Ole, Caffeine an Insect Repellent. culture cooler. : Designer Coffee Cups, Malaysia’s Black Coffee, Beauty in a Coffee Revolution and more. art. : Hang in the Barker Hangar for Photo L.A. art. : The Coffee Helpers in The New Yorker, December 17, 2018. art. : ‘Judge Coffee’, On View at The Annenberg Space For Photography. music. : This Kansas Moment, The SemiFinals US Barista Comp Mixtape, Kansas City. music. Freeze Frame, The Day One US Barista Competition Mixtape, Kansas City. music. : mixtape, être aimé. Paris, France. music. : Lana Del Rey’s Apartment Complex. film. : Grab Coffee, ‘Meet Joe Black’ is Back on Your Netflix. film. : SNL, The Coffee Shop and The Taste Test. film. :This Is Us’, Vietnam Episode Tackles the Draft with Coffee. film. : This Is Us, Takes a Nation Home. travelogue. : A Venice Grind Vanilla Late Takes Me To A Second Grade Summer. OPEN, Baba Cool Cafe, After Hours, Fort Greene Brooklyn. OPEN. : A Unified House, East One Coffee Roasters, Clinton Hill, Brooklyn. travel. : Riads and Roads, Marrakech, Morocco. opinion. : The Floor Is Cracked. A Look at Coffees’ C-Price and Cementing Change. journal. : to be a young coffee in this world. at Its Highly Likely, Los Angeles, CA. journal. : The World Series, Batting with Coffee. 1: Coffee isn’t just great at perking you up in the morning. It’s great around the garden, too. 2: Nathanael Mehrens, co-creator of the coffee soda I consumed, describes it as tasting “like an orange Tootsie Pop,” with coffee’s richness and citrus. Until recently, coffee soda couldn’t be easily found outside of Nashville, because it’s a Music City creation (or so Nashvillians proudly claim). 3: The straws made from paper or compostable plastic will be available to customers by request and eventually become standard for all iced coffee, tea and espresso drinks, Starbucks said in a news release. 4: South Korea is changing the way it sells coffee — at least when you buy it at a coffee shop. Starting next month, if you drink your coffee in a café, you won’t be using a disposable cup. And that’s already stirring some controversy. 7: “The idea behind Plant Based Coffee Shop is that I’ve been a big figure in the vegan and plant-based movement, and I want to continue to create accessible options for people to eat healthy food,” he said. 9: Using a rare Yiracheffe heirloom variety from Ethiopia [Santuario Sul ] Pereira’s new coffee brings a profile of ripe stone fruit and sweet peonies, a surprising combination of flavors from a region known for its dark, bold and nutty varieties. This entry was posted in coffee and tagged cincinnati coffee festival, coffee soda, disposable cup, ethiopia, garden, long beach, los angeles, mushroom coffee, ohio river foundation, plant based coffee shop, plastic straws, rose park coffee, santuario sol, south korea, tobys estate, womens health, Yemen, yirgacheffe. Bookmark the permalink.